Springtime always spells the dawn of a whole new range of fashion. Designers are more inspired than ever during this beautiful time of the year and their spring collections often integrate various elements of the season such as floral prints and vibrant hues. 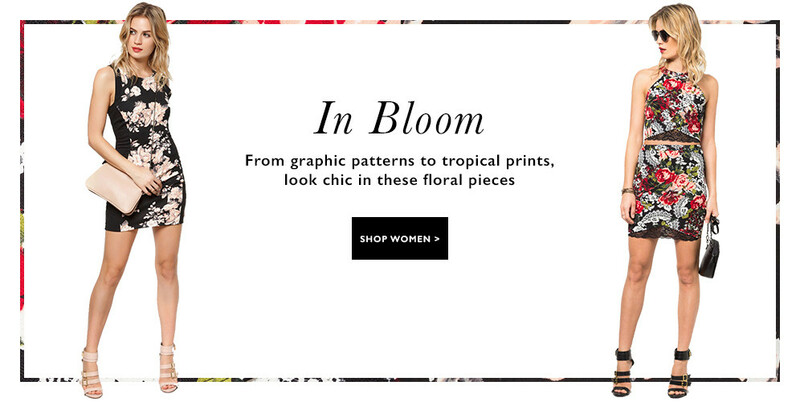 It’s right about time to include some gorgeous floral designs to your wardrobe. If you’re afraid florals prints might be a tad too girly, you could perhaps go for florals prints on an edgy silhouette such as that of a skater skirt or dress. Floral prints incorporated on a skater dress is the perfect mix of sweet and edgy. If a top or dress that is completely covered in floral prints is too much colour for your liking, you could simply add a pop of colour to a plain ensemble by pairing it with a floral accessory such as a scarf or purse. A floral scarf brightens and enlivens even the simplest tank top and jeans combi. Stand out from the crowd with floral prints today! Browse our wide selection of fashion now and get a free voucher upon sign-up on our site. ZALORA aims to bring together fashion and convenience to provide you with the best online shopping experience. As such we offer a variety of payment modes including Paypal, credit or debit cards, bank transfer and cash-on-delivery. Our excellent returns policy just sweetens the deal. So ladies, start shopping now!